An increasing number of dental patients are finding they need to have their wisdom teeth pulled. But when and why should wisdom teeth be removed? Dentists call wisdom teeth ‘third molars’. They are the last teeth to develop. Recently dentists have debated whether healthy wisdom teeth, that are appropriately positioned in the mouth and do not cause problems or pain, should be pulled out. Although there is no set age for a person to have wisdom teeth extracted, most dentists believe the ideal age to be somewhere in the late teens or early twenties. At this age roots have not fully formed on the teeth and healing after oral surgery is easier. There are a number of factors that will encourage a dentist to remove wisdom teeth. Firstly, impacted wisdom teeth either grow sideways, partially erupt through the gum, or remain concealed in the gum or jaw bone. Over the course of human history the human mouth has steadily become smaller. Most people today do not have room in their mouth for four extra teeth. If a mouth is too small to accommodate them, wisdom teeth don’t grow into their expected positions but become impacted. An impacted wisdom tooth that is partially erupted can cause a condition known as periocoronitis. This is an infection of the gum tissue surrounding the tooth. 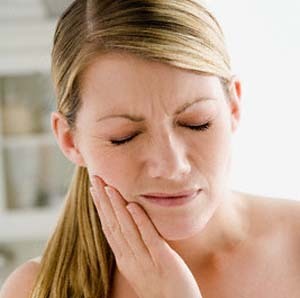 Toothaches, jaw pain and swelling can all result, and the tooth will have to be extracted. Secondly, wisdom teeth may begin to affect adjacent healthy teeth. Crowding can occur if the mouth is too small to accommodate all teeth. If a wisdom tooth is misaligned or decaying, it can damage adjacent teeth. As a result infections, gum damage and deterioration of the supporting jaw line can occur. Removing a wisdom tooth in this situation will alleviate stress on other teeth. While not a common occurrence, a decayed or infected wisdom tooth can also cause cysts to form in the areas around it. These are sacks of fluids. If the wisdom tooth and its cysts are not removed, they can cause damage to the gums, roots and bones surrounding it. Lastly, wisdom teeth may be hard to access when brushing as they are located at the back of the mouth. Food particles and fluids that remain in an area that is not thoroughly cleansed can lead to cavities, decay and infections in wisdom teeth. If a tooth is partially impacted, there is a chance of food particles even becoming lodged in the small open areas around it. All patients should talk to their dentists about the possibility of having wisdom teeth removed. If a condition presents itself, it is best to have the tooth extracted to ensure better overall oral health in the future.